Fulvic Minerals delivers fulvic acid which is an important naturally occurring organic acid that can be difficult to obtain from a normal diet. The fulvic acid is delivered from Shilajit, which may improve endurance, nutrient absorption, and enzyme production. Fulvic acid is an important naturally occurring organic acid that can be difficult to obtain from a normal diet. Fulvic acid can be beneficial for all adults as it facilitates numerous biological reactions and lays a general foundation for the body to build off of. Athletes in particular who may be using trace minerals in higher demand may have a higher need to replenish them. Fulvic acid may improve endurance through cellular energy, nutrient absorption, and enzyme and hormone optimization. Onnit Fulvic Minerals Concentrate delivers 250 mg of fulvic acid from Shilajit extract, which is harvested from the Himalayas. Shilajit is a nutrient and mineral-rich biomass which is loaded with medicinal humic and fulvic acids. British archaeologists have been able to find evidence of Shilajit use in the Indus Valley Civilization dating back to 3000 BC. Onnit Fulvic Minerals Concentrate uses a patented Shilajit extract, PrimaVie®, which is a high quality, clinically studied, Purified Shilajit Extract from the Himalayas, containing dibenzo-α-pyrones (DBPs) and Fulvic Acid. PrimaVie® Purified Shilajit is manufactured by an extraction process that only uses water. 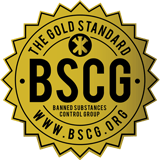 The BSCG Certified Drug Free® program represents the gold standard in third party dietary supplement testing and certification for banned drugs. Overseen by renowned drug-testing pioneer Dr. Don Catlin and his son Oliver Catlin, BSCG’s rigorous science-first program provides assurance that products and ingredients are free of drugs and other harmful agents that can lead to health concerns or positive drug tests. The BSCG Certified Drug Free® standard testing menu covers 483 drugs, more than any other program available. This includes 272 drugs on the World Anti-Doping Agency (WADA) Prohibited List and an additional 211 illicit, prescription, and over-the-counter drugs not banned in sport. Find out more about the BSCG Certified Drug Free® Program. Verify product certification in the BSCG Certified Drug Free® database.